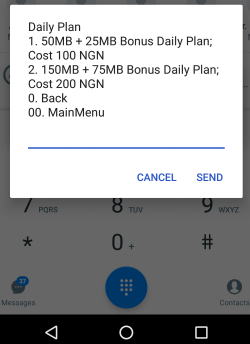 MTN NG has updated its daily data plans. For now, the update is limited to daily bundles. You will recall that MTN subscribers could only get 50MB and 150MB for 100 NGN and 200 NGN respectively. Dial *131*1# and follow the instruction on your screen to activate the plan.